Despite the name, so-called granny flats are not just for senior citizens. A granny flat is a small dwelling located close to the main house and contains all the essentials including a bedroom, kitchen, bathroom and living space. The granny flat offers a way for people to care for aging, independent parents in a separate, nearby house, free from disturbances. These spaces, which can accommodate one to two people, are usually called an accessory apartment or accessory dwelling unit. They can be attached — an extension of an existing dwelling or a room converted for this use — or detached from the main house. A modular granny flat is a fast, flexible and durable alternative to traditional building techniques. The dwelling is made with the same kind of insulation, comfort and acoustic qualities as traditional, ‘stick-built’ buildings. Modular granny flats are available with options such as furniture and appliances; air conditioners, blinds and security gates; and access ramps and hand-rails. Prefabricated granny flats may suit homeowners when the prime factors are mobility, budget and urgency. Stick-built granny flats are built from the ground up on the property. Traditional granny flats are ideal for homeowners who want specific details, such as the architecture and features, to match those of the main house. Homeowners add granny flats for many reasons, including keeping aging relatives close by, ensuring their safety and proximity in case they need anything. They also benefit senior citizens who seek to downsize from large homes while remaining close to family, and those who want an alternative to a nursing home. But accessory dwelling units also can be used as detached housing for adult children, guests and tenants. Those who wish to keep multiple generations on one property, and those who want to help a relative or friend who can’t afford other housing should consider a granny flat. Whatever the reason for having a granny flat, the benefits include sharing bills, reducing overall expenses, helping a loved one in need, and preventing someone from living in a nursing home. If you decide to add a granny flat, do so sooner rather than later. 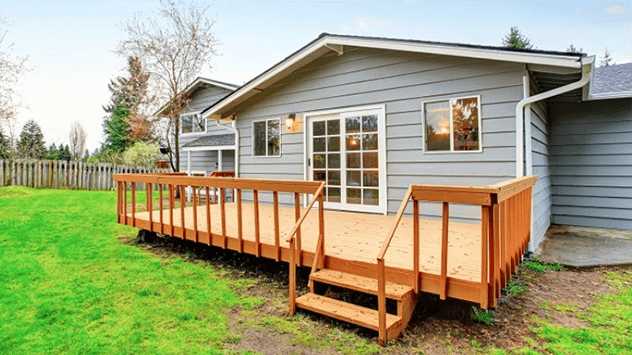 Aging loved ones should settle into their accessory dwelling unit long before mobility becomes a problem and the granny flat becomes an urgent need.